By enrolling your child in Alchemy's kid's martial arts classes, they will gain the discipline and confidence they needs to succeed while learning an amazing self-defense system through the arts of Kempo and Brazilian Jiu Jitsu. WHY SHOULD YOUR CHILD TRAIN MARTIAL ARTS? Plenty of kids get caught up playing video games and eating junk food. They need an activity that captivates their attention and encourages a healthy lifestyle. Alchemy Martial Arts provides that as well as teaching them an all inclusive self-defense system to allow them to protect themselves. We combine physical fitness with fun and exciting martial arts drills to allow children to get in great shape while having a blast! 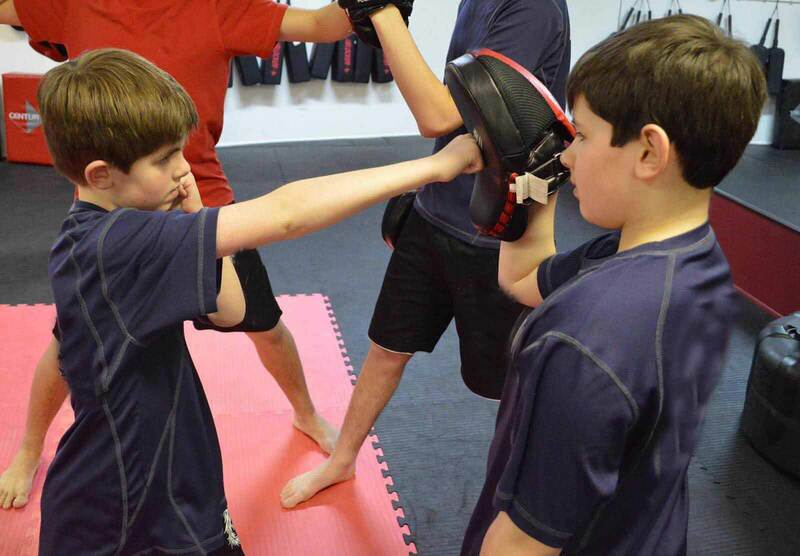 WHAT CAN YOUR CHILD GAIN FROM CLASSES AT ALCHEMY MARTIAL ARTS? Alchemy martial arts classes are structured to give your child the best in physical fitness while giving them the life skills they need to succeed. Here at Alchemy MMA, we believe the martial arts is more than just kicking and punching. We have perfected a system to instill a set of ideals that we believe to be crucial for a growing child. These ideals are seamlessly reinforced throughout classes alongside their self-defense techniques. We believe that the first step in a child’s martial arts journey is discipline. A child needs to understand that they are in control of their bodies and are capable of standing still and focusing if they choose to. This is established through our instructors who are experts in creating an authoritative presence in a positive, high energy environment. This way kids are learning to work hard and control themselves while still having fun. A crucial element in a child’s martial arts training, respect is about treating others the way you want to be treated. Students are taught not only to listen and behave themselves in the classroom but to their parents and teachers as well. Instructors are hands on with each student to make sure they are understanding these values and are getting the most out of their training. As a student of the martial arts, a child will learn to be accountable for their actions. They must learn the appropriate way to handle situations that will arise in their daily lives and control their emotions. Through various martial arts drills and friendly competition, students will begin to develop these skills and learn how to discern the proper response in future situations. While training in the martial arts, a student’s confidence level increases as they move up through the ranks. They get physically and mentally stronger. The martial arts is a life-long activity, not just a sport. Just knowing that you have the tools to defend yourself and others gives a student great confidence! During their martial arts training, they are taught to strive for goals far beyond average. The best are those who push themselves to be better than everyone else around them regardless of the activity. Those students inspire others to achieve more and set their goals high. At Alchemy, we train all our students to be leaders. It is constantly reinforced that to make it to the goal of black belt, there is more at stake than just kicking and punching. A black belt is for life and the students who make it to that level are forever better because of it. They are confident, well-disciplined, they do well in school, are more outgoing and social and most of all they are mentally and physically prepared for anything life can throw at them. You can see a difference in the students that have been training for five years or more. That’s five years of learning how to focus with their eyes, mind, and body. These students are Champions. They possess a certain look and sound that other kids just don’t have. Our goal is to make mentally and physically strong students that do well in school and go on to make the right decisions into adulthood. Children are taught goals through the use of the belt system. As a student progresses in the martial arts, they can achieve new belts towards their eventual goal of black belt. We encourage our students to embrace this martial arts mentality outside of the dojo and set their goals high in their everyday lives. If you want something in life, it can be yours to achieve. No dream is too big if you are prepared to work your hardest and commit to that goal. A black belt never quits! Bullying, by definition, is unwanted or aggressive behavior among school aged children that involves a real or perceived power imbalance. The behavior is repeated, or has the potential to be repeated over time. Both children who are bullied and bullies themselves, can suffer long-lasting negative effects. An Imbalance of Power: Kids who bully use their power—physical strength, access to embarrassing information, or popularity—to control or harm others. Power imbalances can change over time and are often situational. Verbally through name calling, inappropriate comments or threats of physical violence. Physically through acts such as kicking, punching, pushing, tripping, etc. HOW CAN ALCHEMY MARTIAL ART'S PREVENT BULLYING? Alchemy Martial Arts schools have become widely known in their various communities on Long Island, for their strong anti-bullying program. Alchemy's anti-bullying program aims to help children of all ages to not only stop bullying, but also to guard against all future incidents. Alchemy's philosophy involves shifting the power balance back into neutral ground. 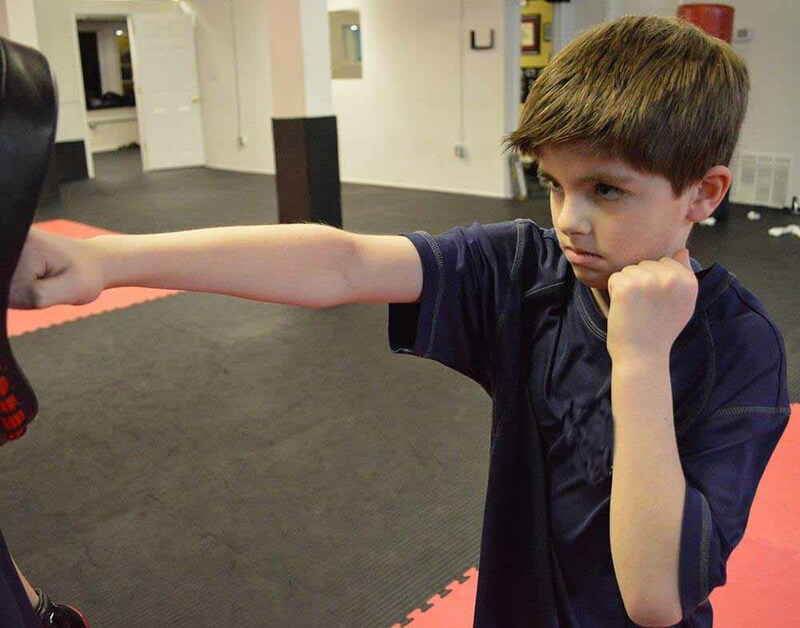 With a background in martial arts training, your child will be physically stronger and faster, as well as better equipped with the appropriate skill set to defend themselves against potential bullies. Moreover, martial arts training empowers students with confidence to walk the halls of their school bully-free, and gives them the security every child needs to focus and learn. In every class, students will be taught not only how to kick and punch but the appropriate times and ways to use their self-defense training. Scenarios are brought up in a question-answer based environment, where the kids discuss with their instructors possible consequences and outcomes. Alternatives to fighting including avoiding potentially bad situations, finding an adult, and Options such as avoiding a fight, getting a teacher, or talking to the bully are discussed as preferable alternatives. In fact, the number one martial arts philosophy for kids is that they should never have to fight. Bullies don’t pick on kids who are confident when they walk, make eye contact when they talk, and are as strong physically as they are mentally.